Install Responsive Floating Ad with Close Button - XpertShout Yayın bulunmaktadır. 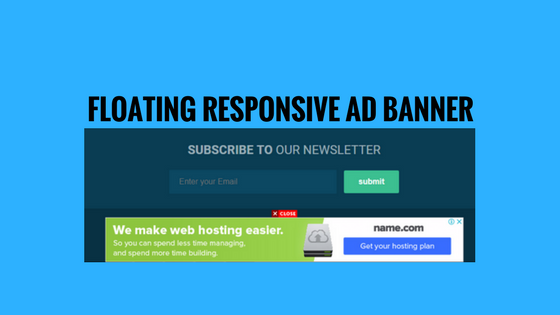 Get an easy way to install responsive floating ad with close button. Earning is important thing for the bloggers and they want earn more & more as they can. So for more earning from ads i install a widget that is working perfectly for me and will be worked perfectly for you. So, just follow the below steps. Go to your template and click on html editor. Paste the given html code just above </body>. Just replace highlighted lines with your Adsense or any other banner ad code. Now Save the Template and Enjoy.